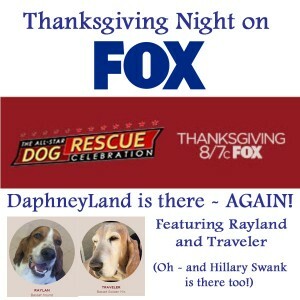 Once again, DaphneyLand was asked to participate in FOX’s All-Star Dog Rescue Celebration! We didn’t take 35 Bassets this year – just two. Traveler and Raylan. Be sure to tune in. 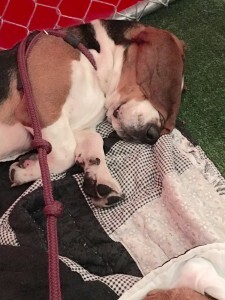 And please click the graphic above to help DaphneyLand Continue to come to the aid of Bassets in need. 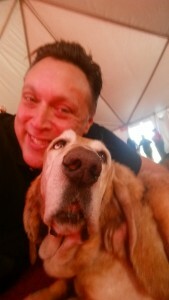 DaphneyLand – the ONLY residential Basset Hound rescue center in the world! 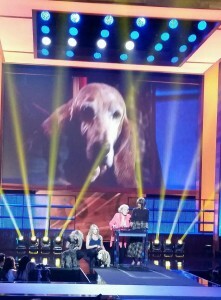 Traveler on the big screen! Raylan – worn out from all the excitement. Traveler with the show’s producer – Micheal Levitt. Your donation goes straight to work, helping all the dogs at Daphneyland. 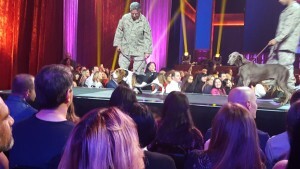 Thank you for caring about the animals! We are faced with a hundred hungry animals every day - not to mention vet care, etc. 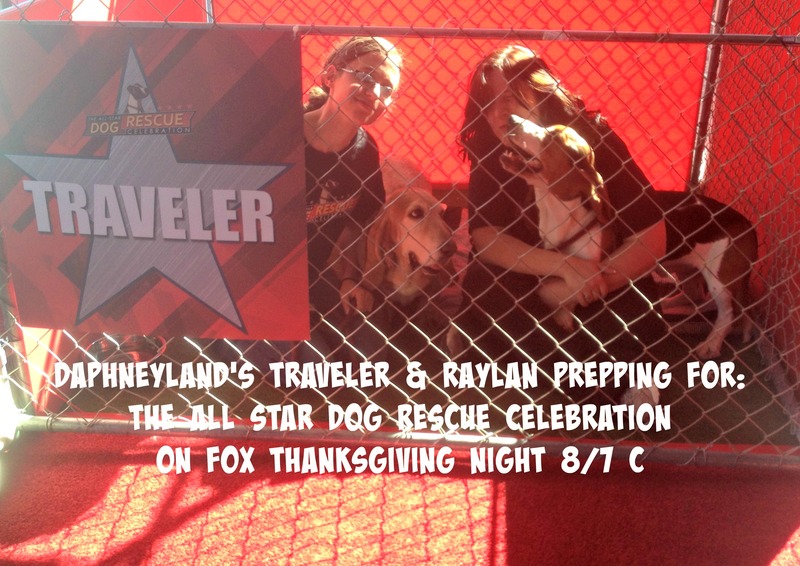 DaphneyLand is a 501(c)3 and your donations are tax-deductible!